Pastor Michael joined us in February 2017 after spending time pastoring churches in both Florida and North Carolina. Pastor Michael brings with him his wife of 23 years Angela and their two daughters, Sabrina (20), who is a junior at Liberty University and Alyssa (14). 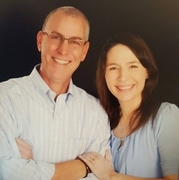 Pastor Michael is a graduate of Liberty University with a Batchlor of Science Degree in Religion and is currently working on his Masters of Divinity.